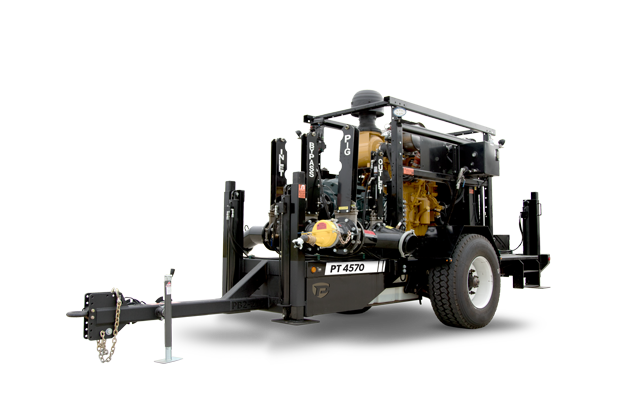 Puck’s Booster Pump is the most robust, durable unit on the market. 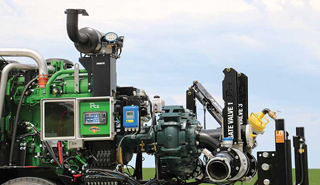 We offer a variety of horsepower and pump combinations to meet the needs for your operation, but all Puck equipment is built with our proven expertise and designed for optimal performance. Combined with LightSpeed Pro, our pump units pack a powerful punch that improves your liquid transfer efficiency on the job and streamlines your fluid delivery. 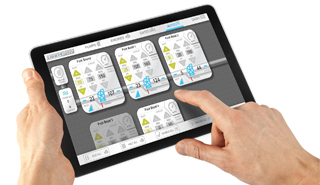 Puck bypasses can be entirely controlled through LightSpeed Pro, bringing maximum efficiency to your operation. Pig the line from the bypass and finish with full bypass operation from LightSpeed Pro — features that keep the job moving and make for quick set changes. LightSpeed IQ is always watching the pump, even without the assistance of LightSpeed Pro. Use Auto-Throttle to set operating pressures and program automatic responses, helping lock-in effective flow rates. 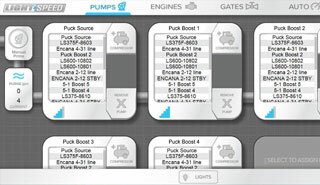 Cut costs with the increased efficiency of a Puck Booster Pump. Our high-flow, high-efficiency pumps level up your operation with more gallons pumped per gallon of diesel fuel consumed.